Air-conditioned guest rooms are fitted with a work desk and cable television. The en suite bathroom comes with shower facilities. 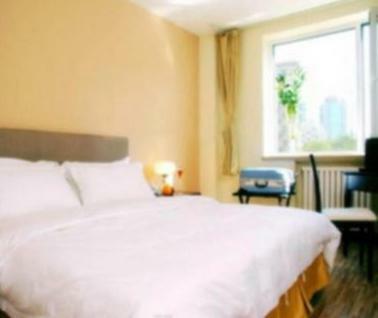 HK Downtown Backpackers is located in the area, within a 1-minute walk of East Tsim Sha Tsui Station, Tsim Sha Tsui MTR Station and the airport . It offers simple and affordable accommodation with free Wi-Fi access. Backpackers HK Downtown is within a 5-minute walk of the Victoria Harbour, the Cultural Centre and the popular Avenue of Stars. Kowloon Park and the SOGO Shopping Centre Tsim Sha Tsui are both a 3-minute walk away. The staff at the tour desk can assist with making travel arrangements. Safety deposit facilities are available at the 24-hour front desk. Nightly rates from $7 to $127. This private room is for 4 guests only with 2 double beds or 4 single beds. Guests are kindly requested to inform the hotel of their bedding type preference in advance. The bed type will be arranged by the property subject to availability upon check-in. Room facilities: Shower, Telephone, Air conditioning, Hairdryer, Desk, Seating Area, Free toiletries, Fan, Toilet, Bathroom, Heating, Slippers, Satellite Channels, Cable Channels, Bath or Shower, Flat-screen TV, Private entrance, Soundproofing, Wake-up service, Hypoallergenic, Towels, Entire unit wheelchair accessible, Clothes rack, Toilet paper Can you tell us what you'd like to see here? This private room is for 2 guests with 1 double bed or 2 single beds. Guests are kindly requested to inform the hotel of their bedding type preference in advance. The bed type will be arranged by the property subject to availability upon check-in. Room facilities: Shower, Air conditioning, Hairdryer, Shared Bathroom, Free toiletries, Fan, Toilet, Shared Toilet, Slippers, Satellite Channels, Cable Channels, Flat-screen TV, Private entrance, Soundproofing, Wake-up service, Linen, Upper floors accessible by lift, Clothes rack, Toilet paper Can you tell us what you'd like to see here? Room facilities: Shower, Air conditioning, Hairdryer, Desk, Seating Area, Free toiletries, Fan, Toilet, Bathroom, Heating, Slippers, Satellite Channels, Cable Channels, Bath or Shower, Flat-screen TV, Private entrance, Soundproofing, Wake-up service, Hypoallergenic, Towels, Linen, Upper floors accessible by lift, Clothes rack, Toilet paper Can you tell us what you'd like to see here? This private room is for 3 guests only and come with 1 double bed and 1 single bed or 3 single beds. Guests are kindly requested to inform the hotel of their bedding type preference in advance. The bed type will be arranged by the property subject to availability upon check-in. Room facilities: Shower, Telephone, Air conditioning, Hairdryer, Desk, Seating Area, Free toiletries, Fan, Toilet, Bathroom, Heating, Slippers, Satellite Channels, Cable Channels, Bath or Shower, Flat-screen TV, Private entrance, Soundproofing, Wake-up service, Hypoallergenic, Towels, Linen, Entire unit wheelchair accessible, Clothes rack, Toilet paper Can you tell us what you'd like to see here? Dormitory room features air conditioning, a fan and a clothes rack. A bathroom with shower facilities is shared. Please note that room rate is based on 1 guest only. Room facilities: Minibar, Shower, Air conditioning, Free toiletries, Fan, Toilet, Bathroom, Shared Toilet, Additional Toilet, Private entrance, Additional bathroom, Towels, Linen, Clothes rack, Toilet paper Can you tell us what you'd like to see here? This is a private room for 1 guest only. Room facilities: Shower, Shared Bathroom, Free toiletries, Fan, Toilet, Shared Toilet, Slippers, Private entrance, Wake-up service, Clothes rack, Toilet paper Can you tell us what you'd like to see here? No bathroom mat! No towels! No separate AC & TV remote. TV is not working. The receptionist is too rude in handling the customer. He asked extra 100 HK dollars for key deposit is too high. The worst ever hotel I have stayed! I don't recommend to anyone. Worst hostel experience ever! Pricy! Matchbox rooms! Dirty facilities! Dirty comfort rooms! No free use of towels! No free soap, toothpaste, shampoo nor toothbrush. You have to pay in every single moves. Wifi is kinda slow too. Don't stay here! We checked in at about 10pm. The older man behind the desk asked for 2, 500+ HKD for the week. We paid him 7, 500 Philippine pesos and then I went to the ATM at the MRT station and gave him 1, 500 HKD. (He gave us a bad exchange rate for our pesos). We were expecting to check into our tiny room but then the man asked for another 2, 000 HKD deposit. We told him we would come by the next morning and pay him. He said no deposit, no room. He finally accepted my wife's passport until we paid the 2, 000 HKD. When we returned the next morning, there was an old woman behind the desk. We asked to get the passport back. She said, ' I new here. I know nothing. Come back 5 or 6 pm when the man comes in'. We wanted to go to Macau but you need a passport to go there and we couldn't get it. So our day was ruined. A friend advised us to report it to the police. We walked up to the police station on Nathan Rd and talked the the police. They brought us back there with 2 HK police officers. The police argued with the old woman for about an hour. Nothing really came of it. The police just told us to return at 5 and get the passport and call them again if we couldn't get our passport back. We waited til 5pm and a younger man was behind the desk. He gave us back the passport. We were very upset so we told him we wanted to check out as we found a better place to stay. He said 'No refunds' so we got stuck there for the week. The room we stayed in was nothing special. I think I should have read the reviews before coming here, but I can see why it's so poorly rated. However, everyone complains about the receptionist, but I found the young guy to be very kind and accommodating. The older man is the one people complain about, I think. The rooms are far more expensive than they're worth, and while the area is convenient, it also feels unsafe (people literally stand outside and try to scam you…). Amenities are not good. Generally pretty disappointing. Worst of the earth. Please any one travelling to hong kong do not even think to step in that hotel. If you do so nothing worst than that can happen in your life. They all are lair and theif. So be carefull before you go to downtown backpackers. Warning!!! Do not book this hostel!!! Please do yourself a favor and do not book this hostel. The receptionist was so rude and verbally abused my mother and my husband that is in a wheelchair. We tried to ask for a refund because it is not wheelchair accessible as what they have described on the website. Instead the receptionist just shooed us away and verbally assaulted us. Do not book this hostel!!!! Very dirty and lots of creepy people in the building. Scary and not safe at all!!!! Very very poor hotel. Receptionist very rude. Don't stay in this hotel they're fake. Almost all clients argue with the receptionist because of the booking. What they advertise is different from what you get. Don't ever ever try this hotel you will be disappointed. No star at all. The worst hostel ever! Poorly facilitated, not functioning air-conditioning and indescribable disgusted smell in the room! They will ask you whether or not to upgrade your room by paying extra fee but the 'upgraded room' is still disappointed! It is not a place for human to stay! All the photos showed in any booking website are FAKE! It should be rated NO STAR! Please dont come to this place They made a fraud to me They told me They wont charge my credit card and They do charge me and forcé me to pay by cash so I paid double, They dont clean the rooms the Bathroom, the owner yell the clients pay a little more but go to a decent place this place is a crap. We arrive there and is not what they show in the pictures it was really nasty, there was more people complaining about this situation they didnt return us the money and they were really disrespectfull, they say that the problem was mine not them. We arrive to the "backpacker"and they have filthy clothes in the floor we sit in the bed and cockroaches began to get out… That place was dangerous, even the receptionist couldnt tell us the room number because she said there were more people listening and they were trying to steal from the bedrooms… I think that business is a scam because they dont return any of the money you pay even if you dont stay, but the place is so hazardous that you only want to get out of there. The quality here is not very high, but don't want to spend too much money, and need to stay a few nights, then here is a good choice. I don't think I'll live again, but at least at a very late age, there is room. DOUBLE PAYMENT SCAM! When we arrived there last Nov4, 2015 they asked us to pay the whole amount all over again, I informed them that we were already deducted the whole amount from our credit card, they said that within a week the money will be returned to our account, its been more than a month and the money is still yet to come. Upon arrival at Chung King Mansion, guests are strongly advised to head directly to the main reception desk of HOSTELHK Group at Block A, 3rd Floor only and ignore the salespeople around the building. In cases of no-show, guests will be charged as per the hotel's policy. Please provide your estimated time of check-in during the time of booking. This is to help facilitate a faster check-in process. Guests who book more than 3 rooms are required to pay the first night's charge in advance. The first night's charge is non-refundable. The hotel will contact guests directly with payment instructions. All further children or adults are charged HKD 100 per night for extra beds.